The living room "Pharaoh" will harmoniously fit into the interior of even a small living room, create a home comfort and give a good mood. 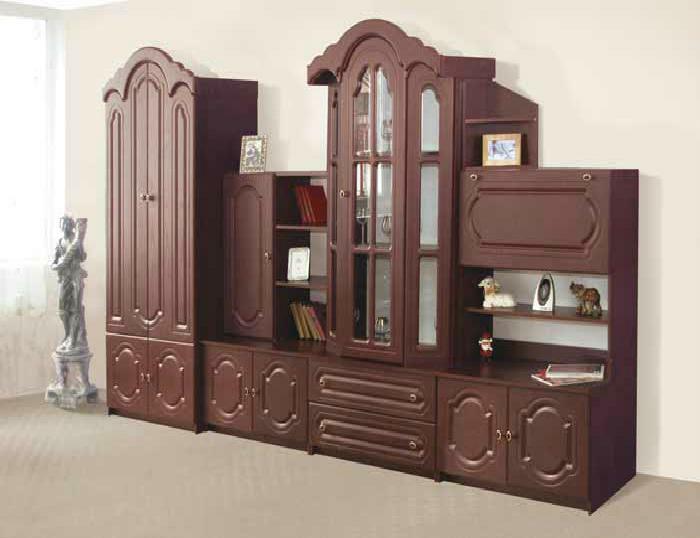 Furniture wall can be completed with an additional wardrobe. The body is made of laminated, environmentally friendly chipboard 16 mm. Body colors: white, sonoma oak light, sonoma oak truffle, milk oak, dark wenge, alder, walnut, apple tree. The facade of high-quality MDF, which has the widest palette of texture and texture.